Can Fidget Spinners Help Dental Anxiety? Sensory toys can calm anxiety. 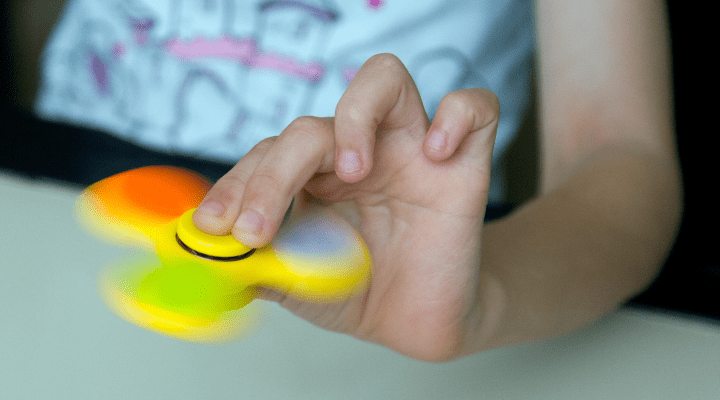 Though there hasn’t been any research on fidget spinners specifically, several studies show that sensory toys can reduce stress levels. For example, one study found patients who squeezed a stress ball before surgery felt 18% less anxious than patients who didn’t use one. Favorite toys can provide security. It may just be a teddy bear, but a child’s favorite toy can serve as a sense of comfort during a dental appointment. Perhaps the placebo effect rings true with fidget toys, too. If your little one is attached to their fidget spinner, let them bring it to their next dental appointment. Though it’s unclear if fidget toys can help dental anxiety, one thing’s for certain: They’d be a popular prize at any pediatric dentist’s office.